The Howat Foundation was founded by Malcolm and Margaret Howat in 2009. We support translational research benefiting general cancer patients through the University of Glasgow, whose mission is to undertake world-leading research that benefits society. The support is provided by way of donations and direct funding of medical staff, purchase of equipment and contributions to capital projects, all with the purpose of furthering ground breaking advances. 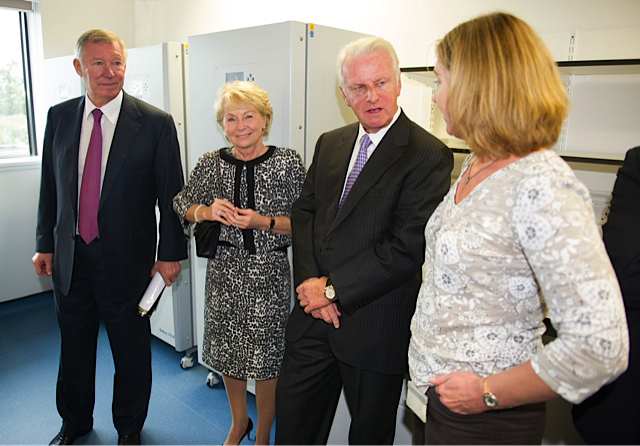 The Howat Foundation supports The Paul O'Gorman Leukaemia Research Centre. The support focuses on the work of Professor Tessa Holyoake, Director of the Paul O’Gorman Leukaemia Research Centre. This includes the appointment of Dr Karen Keeshan in Paediatric Haematology and the appointment of Professor Andrew Biankin as Regius Chair of Surgery and Director of Translational Cancer Research at the University of Glasgow. 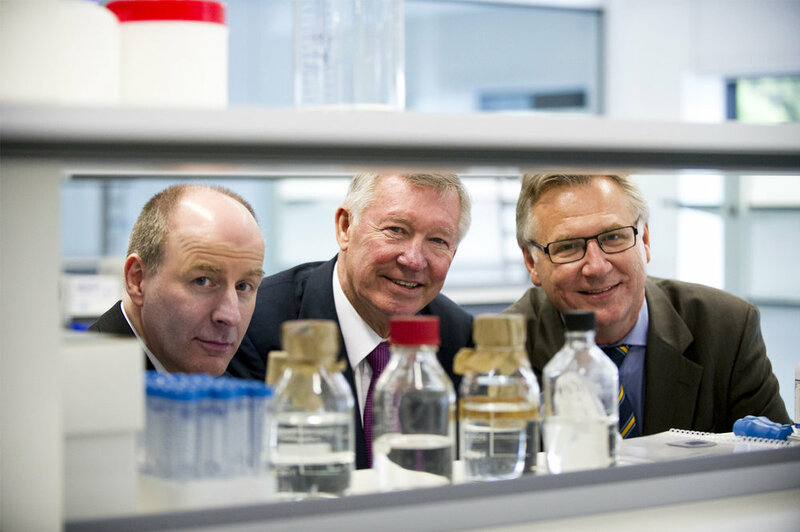 Through the Howat Foundation, Sir Alex Ferguson turned his attention to the fight against cancer when the former Manchester United manager unveiled a plaque commemorating the donation of £1 million towards the next phase of The Beatson Pebble Appeal. 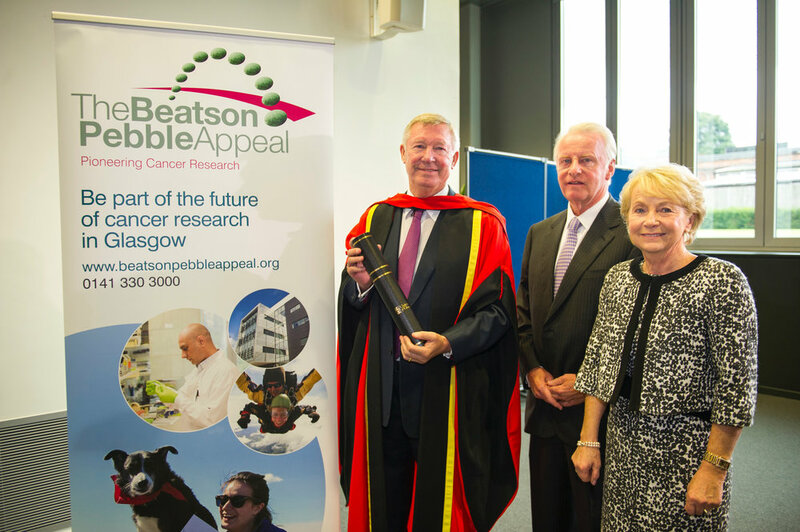 The donation was in addition to the previous support given by the Foundation to cancer research at the University of Glasgow. The Howat Foundation also support a small Edinburgh charity named CCLASP - Children with Cancer and Leukaemia Advice and Support for Parents. In 2005, one of the trustees Margaret Howat, was diagnosed with Chronic Myeloid Leukaemia. A Bone Marrow transplant was successful and she leads a very normal life. However the treatment was punishing and the thought of children experiencing this caused deep concern. However children do have treatment and they are nothing short of wonderful, but it is hard for both the child and the parents to handle this sort of experience. A parent coping with first the diagnosis and then seeing their children treated with chemotherapy is one of the hardest things in life to bear. Three years after Margaret’s transplant a friend invited her to a CCLASP ball and the first part of the evening was spent looking at a video of the work CCLASP carried out. 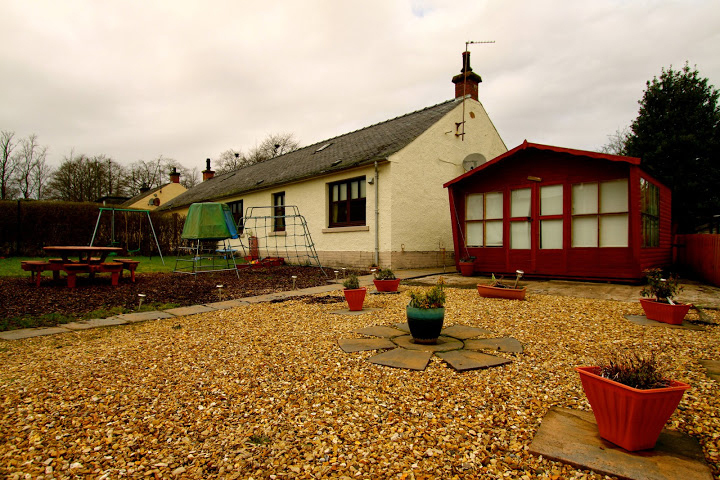 An important part of this work was the value of a cottage at Muthill in Perthshire, Scotland. Every year this was used to organise special breaks for young people and their families who came to CCLASP for support. They understood the difficulty of going on holiday with a young person with a life-threatening illness. Many of the families are on low incomes and this is the only way they can have a holiday. 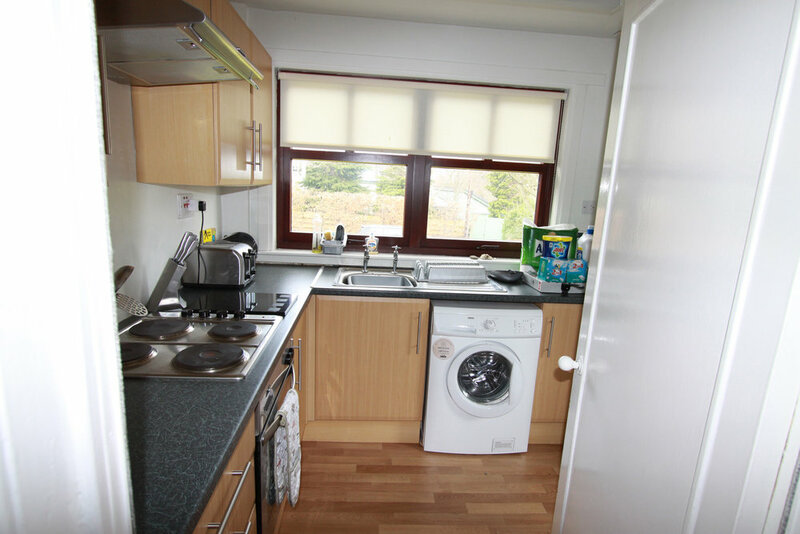 No charge is made for the use of the cottage which provides a wonderful respite for the children and parents to get away from hospitals and illness. When The Howat Foundation heard about the cottage being sold and CCLASP’s appeal for help, the directors immediately got together and decided that they had to preserve this little bit of heaven for the children and their parents and agreed to provide a donation for the full amount to allow CCLASP to purchase the Muthill cottage outright. Today the house continues to be used for the purposes of providing respite care for children with cancer and leukaemia and support for their parents and families. Attending the CCLASP 21st Anniversary Ball on Saturday October 3rd, The Howat Foundation were pleased to announce their continuing support of CCLASP with funding for a new bespoke drop in centre within 5 minutes walk of the Edinburgh Royal Infirmary. The funding will amount to over £1 million pounds and will allow CCLASP to offer valuable support services in close proximity to the Edinburgh Sick Kids Hospital. For CCLASP Managing Director Valerie Simpson, the donation gives a solid foundation to allow CCLASP to move forward and better support families affected by cancer and leukaemia. Speaking just after the announcement, an emotional Valerie said "Well that was a night I’ll never forget, it’s just amazing we can now build the new centre thanks to the Howat Foundation". The Howat Foundation have been supporting Action for Children Scotland’s Sports Dinner for the past two years. Action for Children Scotland is a national charity that supports the most vulnerable and neglected children and young people in the heart of local communities throughout Scotland. With 74 services we are where you live and work. We help thousands of children and young people to transform their lives each year and we’ve been doing so for 60 years. The children and young people we support face the most difficult problems in life. Some don’t have the basics, from the love and care of family to regular routines such as mealtimes or the guidance that all children need to grow to be healthy adults. Others have to overcome physical or emotional challenges that hold them back. We help these children to fulfil their potential by providing services to support their individual needs. We succeed in helping children and young people to overcome difficulties at an early stage to tackle problems before it’s too late. By supporting Action for Children you inspire hope in the thousands of vulnerable children and young people we help. In 2013, following successful Fellowship applications, Dr Vignir Helgason relocated from the Paul O’Gorman Leukaemia Research Centre to the recently opened world-class Wolfson Wohl Cancer Research Centre to setup his own research group “Leukaemia and Autophagy Therapeutics”. Recently his laboratory has, in collaboration with Cancer Metabolism Research Unit at the Cancer Research UK Beatson Institute, optimised protocols for metabolic assays using rare stem cells and already identified targetable metabolic dependencies in chronic myeloid stem cells. The Howat Foundation has supported the group and this research theme. The support will allow the team to appoint more staff to test promising drugs and further support the search for metabolic abnormalities in other stem cell driven leukaemias, such as acute myeloid leukaemia, where improved therapy options are urgently needed. Dr Zuzana Brabcova is a Bio-Informatician and Computational Biologist, whose post is funded by the Howat Foundation. Dr Brabcova is a post doc in Dr Vignir Helgason’s lab, which has identified that Leukaemic stem cells which give rise to Leukaemia are very metabolically distant from normal stem cells. As a computational scientist she is working with numbers to show exactly how different Leukaemic stem cells are from normal stem cells. She is aiming to find out how they differ and how to target their vulnerabilities or “Achillies Heels”. Supporting Dr Brabcova is part of the Howat Foundation’s continued support for Vignir’s lab. 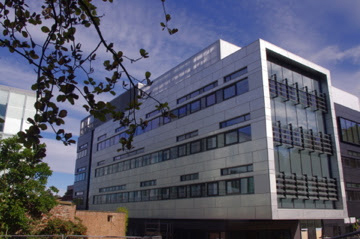 The flow Cytometry Unit which has been supported by the Howat Foundation is located within the Paul O’Gorman Leukaemia Research Centre at the University of Glasgow. This Unit consists of a two flow cytometers, “FACSAria” – a cell sorter and “FACSCantoII” – a cell analyzer. These machines play an integral role to all research programmes, enabling us to isolate and characterise rare cell populations with leukaemic potential from a larger population of cells. The goal of the Unit in October 2010, when we received funding from the Howat Foundation was to generate a reliable cell sorting service and flow cytometry facility for departmental and external users, which would be self-funding. We aim to realise that goal over the next two years, which without funding from the Howat Foundation, would have taken significantly longer. 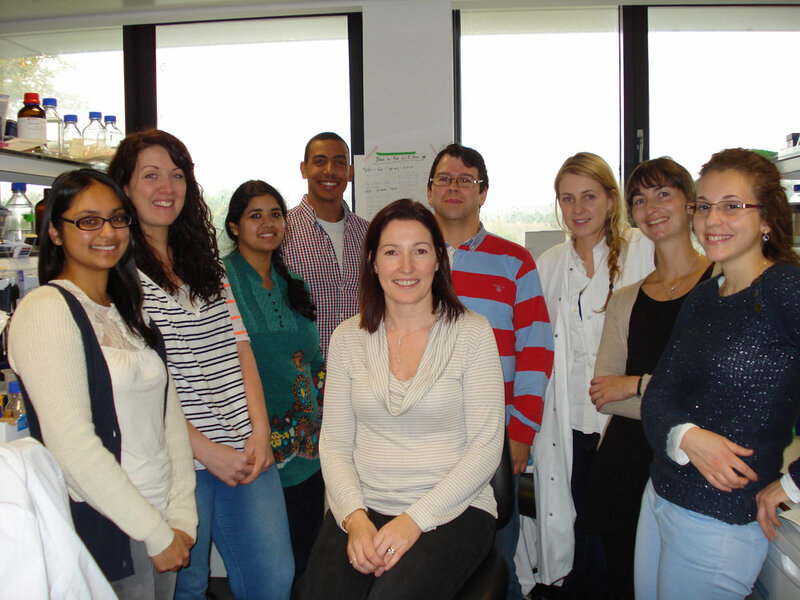 The Howat Foundation supported the recruitment of Dr Karen Keeshan as a Senior Lecturer to the Paul O’Gorman Leukaemia Research Centre in the Institute of Cancer Sciences in 2012. The purpose was to establish a leader in leukaemia research with a specific focus on childhood leukaemia. The focus of research in the lab is on understanding the genes that have gone awry in adult and childhood acute myeloid leukaemia (AML) with the longterm goal of improving childhood therapy. Using cutting edge technologies and model systems, the Keeshan lab are investigating the mechanisms leading to the differences in childhood and adult AML. Work in the lab includes studies that will provide important biological information on the drugs used in the newly opened childhood AML clinical Trial, MyeChild01. This work aims to provide a novel insight into the clinical treatment of AML and highlight the differences that should be considered clinically in paediatric and adult AML. The collaborative links generated and projects ongoing in the lab as a result of The Howat Foundation funding has significantly advanced the research capabilities in childhood AML in Scotland and the UK. Tangible patient benefits in the form of the MyeChild01 clinical trial in childhood AML highlights how this funding has accelerated research into this disease. In November 2010, The Howat Foundation helped fund the purchase of a Fluidigm Biomark to enable researchers at the Paul O’Gorman Leukaemia Research Centre (POG-LRC) at the University of Glasgow to undertake affordable high throughput gene expression analysis. The Biomark Dynamic Array CHIP uses thousands of intertwining microfluidic valves and channels on a silicon chip to combine the cDNA (genetic material) with the probes (specific to the gene of interest). High-throughput gene expression analysis can be conducted on cDNA from pooled cells, or tissue samples (such as biopsies), or from single cells. Since it was purchased this machine has been extensively used by researchers at the POG-LRC to investigate pathways involved in leukaemia. The Biomark has been used to investigating genetic changes in Chronic Myeloid Leukaemia, Acute Myeloid Leukaemia, Chronic Lymphocytic Leukaemia, Lymphoma and Polycythaemia Vera. Data generated has been included in several manuscripts and presented at both national and international conferences. In addition other members of the University have used this machine as well as researchers from the University of Edinburgh, University of Cork, and the Western General Hospital Edinburgh. Dr Xu Huang was appointed in July 2014 as new lecturer/group leader. He received funding from the Howat Foundation to set up his research group, titled as the Haemato-oncology/Systems Medicine laboratory within the Paul O’Gorman Leukaemia Research Centre, University of Glasgow. The lab has recently identified and validated few potential candidates as therapeutic treatment targets in Acute Myeloid Leukaemia. The future research will focus on epigenetic regulation in leukaemia cancer stem cells, and continue to identify novel pathways and targets in leukaemia by using combinations of different systems biology approaches and by exploring novel polyomics methods in the study of cancer stem cells. Currently Huang’s laboratory is comprised of one post-doctoral research assistant, Dr. Niamh Mannion, who is also supported by the Howat Foundation, and one PhD student and two more PhD students are expected to join Huang’s group later this year. 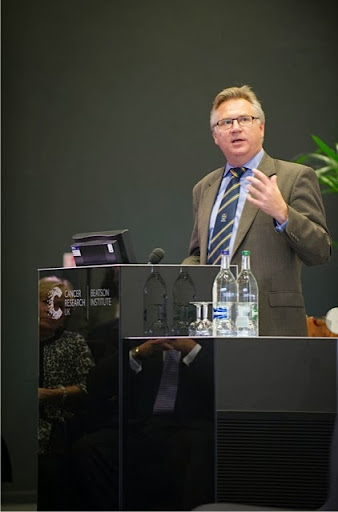 Professor Andrew Biankin is the Director of the Wolfson Wohl Cancer Research Centre which has received support from The Howat Foundation. This Centre is focussed on taking the latest cutting edge scientific discoveries and translating them into improved treatments for people with cancer. Our major focus is precision medicine, also called personalised medicine in order to match the right treatment to the right patient. This is through a deep understanding of what makes each individual cancer tick at a molecular level and then either using the treatments we already have much better, or discovering new treatments for cancers such as leukaemia, pancreatic cancer, ovarian cancer and brain cancer as well as several others. The laboratory is equipped with the latest technologies to look deep into cancers and to find the right existing treatment, and to discover new vulnerabilities, or “Achilles heels” that can be targeted for treatment. Professor Holyoake, a world-renowned expert in Chronic Myeloid Leukaemia (CML) and one of the most exceptional scientists and clinicians of her generation, died peacefully on 30 August 2017, aged 54. The work of the Holyoake team, which has been supported by The Howat Foundation, focuses on understanding the inner workings of stem cells in the blood cancer chronic myeloid leukaemia (CML). Patients diagnosed with CML are treated with oral medication called kinase inhibitors. These drugs have been rationally designed to block the function of the driver cancer gene BCR-ABL. However the Holyoake team has shown that in CML the stem cell population is much less sensitive to kill by kinase inhibitors. This is of key importance because it is this stem cell population that gives rise to CML in the first place, maintains the disease in the face of kinase inhibitors, is responsible for drug resistance, disease progression and relapse if patients stop their kinase inhibitor therapy for any reason. The team has used a range of omics technologies – genomics, transcriptomics, proteomics, epigenomics and metabolomics - to compare how CML stem cells differ to normal stem cells in terms of the signals that keep the leukaemia stem cells alive during kinase inhibitor therapy. In a second step they have then applied computational methods to interrogate all the data generated by the omics screens and come up with several potentially druggable candidates. The last two years have been invested in pre-clinical studies – the stage before taking new drugs into human trials and the team hopes that this work will reach the clinic within 1-3 years. The Holyoake team is committed to precision medicine research: the right drug at the right time for the right effect in the patient. In collaboration with the University of Oxford and the Churchill Hospital Cancer Centre, The Howat Foundation is pleased to announce their support of a very promising new clinical trial being run by Dr Geoff Higgins at the Cancer Research UK Oxford Centre. The trial will investigate the effects that a safe and widely available anti-malarial medicine (called atovaquone) has on tumour hypoxia. Hypoxic (oxygen starved) tumour cells behave more aggressively and are harder to treat effectively than ‘normal’ tumour cells. However, in Oxford, researchers have shown that this anti-malarial drug eradicates tumour hypoxia and makes the tumours far more sensitive to radiotherapy treatment. If the ATOM trial demonstrates that this medicine exerts the same effects in patients it may mean that this drug can be used in combination with radiotherapy to dramatically improve treatment for future cancer patients. Further information on the ATOM project is available here. It is an honour to visit this new research facility that will help in the fight against cancer which was funded by generous donations from many people. I am delighted The Howat Foundation has kicked-off the next stage of fundraising with such a generous gift.